Do these words mean much of anything? Not really. People “working to address content” does not necessarily mean moderators or even paid staff, a “goal” is not a promise, and 10,000 is only an increase if we know how many people YouTube currently tasks with reviewing troubling or potentially illegal videos—numbers they have never been keen to share. A source who spoke to Buzzfeed claims Wojcicki’s projection would be a 25 percent increase, but again, it’s just a projection. Since June, our trust and safety teams have manually reviewed nearly 2 million videos for violent extremist content, helping train our machine-learning technology to identify similar videos in the future. 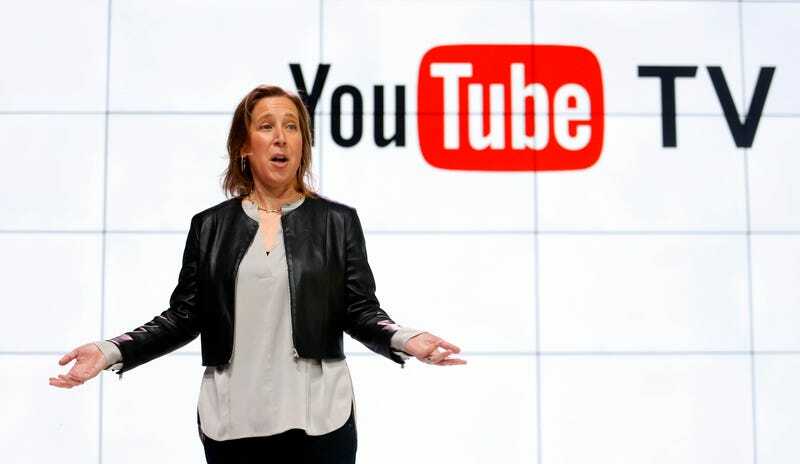 The numbers being bandied about by the internet’s largest video platform (itself a subsidiary of Alphabet, one of the largest companies, period) don’t stand up to scrutiny, and it’s solutions have consistently been underwhelming. Earlier this year YouTube was projected to close in on TV—yes, all of TV—in terms of viewership by the end of 2018. At this rate it will be lucky just to hold onto all of its advertisers. We’ve asked YouTube to clarify the number of people working as moderators presently and will update when we hear back.